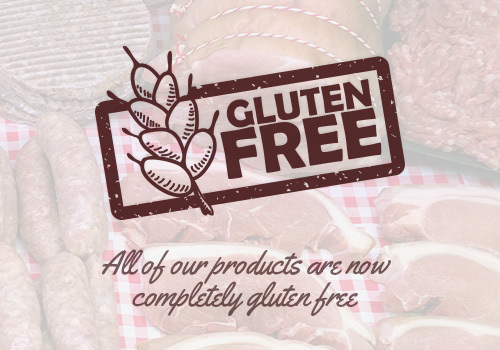 Born in 1955, I come from a family of retailers, food manufacturers and farmers with four retail shops and four markets within the North West of England. I left school with eight O-levels and two A-levels. I left public school in1972 and our family business had seen a downturn in trade, probably due to the beginning of the supermarket influence. We closed a number of shops in Lancaster, Morecambe and Kendal, and I was sent out to work on the markets at Barrow-in-Furness and Kendal. Within a couple of years and after the death of my father (I was 17 years old) I took over these two market stalls. I continued and expanded on our core family business selling bacon, cheese, poultry, sausages and all farm related products. Wild Boar production started in 1993, when my brother gave me four wild boar gilts as a joke. And it’s just gone from there. The farm has about eighteen acres of coniferous woodland – an ideal habitat for wild boar. We now have about one hundred and fifty wild boar stock originating mainly from German and Belgian lines, as well as some wild boar breeding stock with Russian blood in them – but they can be elusive in the woodland undergrowth. The wild boar is reared on conventional pig-feed, but all additives and growth promoters are excluded. Being a farmer, I thoroughly understand the fundamentals of going to market. In order to promote the business and learn ever more about the food industry, I attend various food fairs and festivals – mainly in Britain, but also abroad. This, eventually, led to renting stall space at London’s Borough Market, close to London Bridge. Initially this was just once a month, but now Sillfield Farm has a permanent site there. I certainly earn my living the hard way – every Wednesday night, fifty-two weeks of the year, we load up a large trailer with produce (such as hand made pies, wild boar fresh meat and Westmorland cheeses) and drive down to London. In 1994, Sillfield Farm won the “Best Market Stall Award” out of over three hundred market traders at the Dutch International Market in Den Bosch. We attend many individual indoor and outdoor markets and events throughout the UK and abroad – including Ireland, Scotland, Holland, Spain, France, Italy, and Germany. As a member of the N.M.T.F (National Market Traders Federation), I helped to set up the Southern Irish Market and Street Traders Association. I strongly believe in the Slow Food movement, which encourages and promotes local food and artisan food production. For more information please see ‘Slow Food’ page. I am also much involved with the promotion of quality food and food production through the media – successfully steering many journalists and broadcasters in what is regarded as the “right direction”. Programmes in which I have been involved include: Rick Stein’s “Food Heroes”, Clarissa Dickson-Wright’s “Clarissa and the Countryman”, the BBC 2 series “Jimmy’s Farm”, “Jamies Kitchen”, “Kill it Cook it eat it”, “Grubbs Up”, “Market Kitchen”, “Saturday Kitchen” and “Despatches”. I also presented a programme for BBC Open University titled “Bringing Home the Bacon”. My media popularity i can only blame on BBC Radio 4 Food Programme. 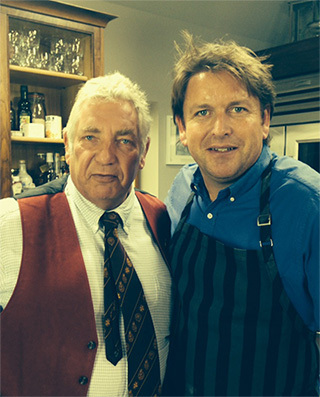 Derek Cooper visited our farm in 1994 and we featured on the Food Programme after his visit. Since then, with the guidance of the presenter Shelia Dillon, numerous programmes have been recorded and all those in the independant food sector continue to listen to the most upto date happenings on food. I live and work with my wife, Christine and my daughter, Julie, is also involved in the business. My son Martin and his Partner Nichola Robinson, continue in the food business by milking their own sheep and making superb unpasturised cheese at Holker Farm, near Grange Over Sands. I am proud that he continues the farm to fork tradition that my grandfather and my mother passed down to us. I see myself as a “Man with a Mission”, who works very hard not only to keep my business successful, but also to bring inspiration and enthusiasm to all those with whom I associate. Good food afterall, is one of the greatest pleasures in life.